We are a month into 2019, and while many people who have made New Year’s resolutions vowed to create a healthier lifestyle – whether that’s through more exercise or a restrictive diet – many of those people end up giving up their goals before January is up. 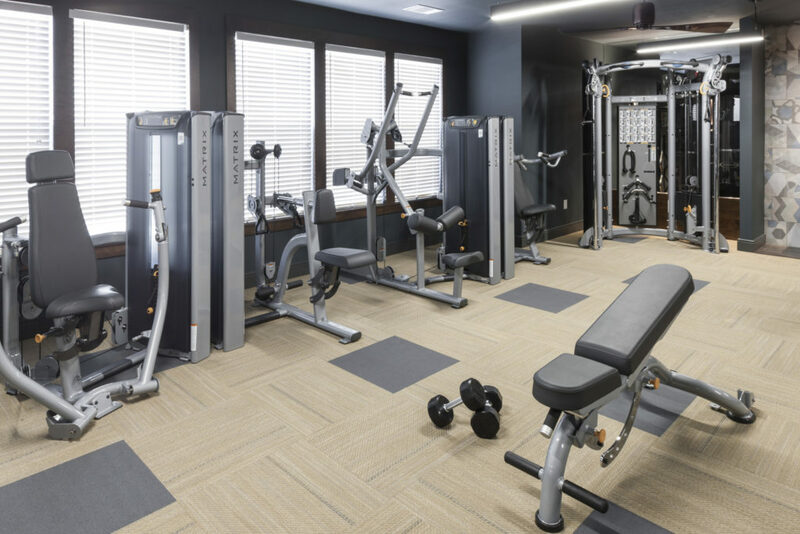 Many excuses can sum up to inconvenience and hassle in keeping up with diet or a fitness schedule, but thankfully our luxury West Dallas apartments at Alexan West Dallas give the tools you need to turn excuses into physical effort, allowing you to keep your resolution all the way through 2020. For starters, our state-of-the-art fitness center is a perfect fit for any healthy goal and physique, from ex-couch potatoes looking to gain a better grip on their physical or mental health or cardio enthusiasts wanting a comfortable spot close to home to practice their leg days. Its “Cross-Fit” inspired design offers dozens of high-tech cardio and strength training equipment to boost your performance, and there’s also a large yoga studio great for warm-ups, Pilates poses, dancing, and calisthenics. If you prefer some fresh air while breaking a sweat, our lovely courtyard and outdoor amenities can adjust to your fitness plan. Our resort style swimming pool allows both casual waders and professional lappers to swim around during the warm seasons, while the spacious sundeck lets you relax and soak up that healthy dose of vitamin D. Finally, we’re close by to some of the best biking and walking trails in Dallas, meaning you can bring yourself, your bike, or your pet at your convenience through our bike storage facility and pet friendly community. Keep your resolutions and your health strong here at Alexan West Dallas. Take a look at our amazing athletic luxury West Dallas apartments today.